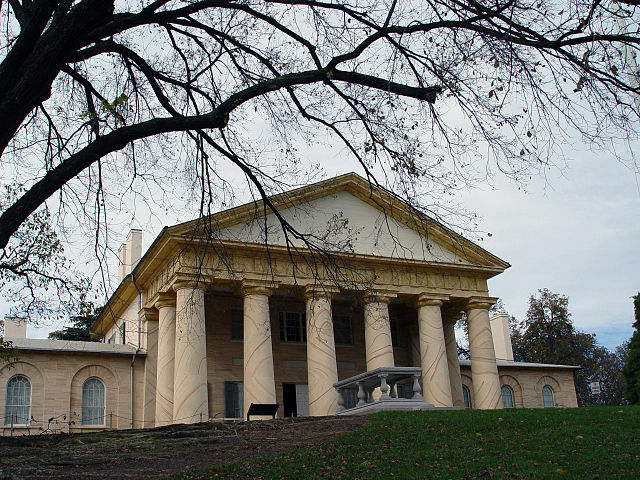 The house that Robert E. Lee called home for 30 years and one uniquely associated with the Washington and Custis families is preserved today as a memorial to General Lee, who gained the respect of Americans in both the North and South. Restoration of Lee Mansion authorized March 4, 1925; transferred from War Department August 10, 1933; made a permanent memorial with name change to “Custis-Lee Mansion” June 29, 1955; restoration of historic name June 30, 1972. Arlington House open all year 9:30 a.m. – 4:30 p.m. Arlington House Grounds and Museum are open from: 10/01/2000 to 03/30/2001 8:00 a.m. – 4:30 p.m. and 04/01/2001 to 09/30/2001 8:00 a.m. – 6:30 p.m. PLANE – The closest airport is Reagan National. CAR – The Memorial is accessible by shuttle bus or by a 10-minute walk from the Arlington National Cemetery Visitor Center/parking area. Access from Washington is via the Memorial Bridge. Access from Virginia is from the George Washington Memorial Parkway. system. Ask for a brochure with a self guided map that describes the house as it was used by Robert E. Lee and his family.